Arrangement of silk gerbera and roses in designer vase. 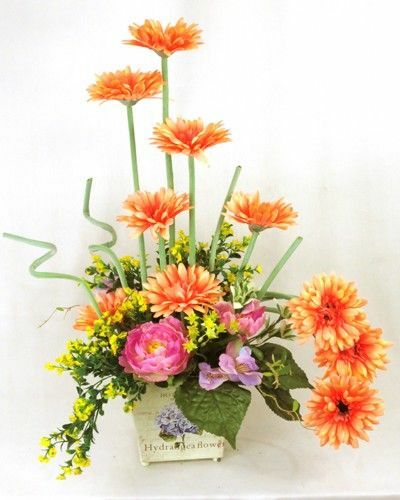 An artistically designed arrangement of vibrant orange gerbera and roses with gypsy nicely crafted in a designer tin vase which compliment each others. Color : Red, Orange, Pink, Yellow Material : Synthetic Cloths, Metal, Wood, PVC, Rubber Product Dimensions (LxBxH) : 12"x10"x24"